This online form constitutes legal authorization for Rabbi Sender Geisinsky to act as your proxy in the sale of the chametz in your possesion to a non-Jew for the duration of the Holiday of Passover. By inputting your info and clicking submit on the bottom of this form you are committing to the terms of the contract. Note: Leading halachic authorities have ruled that online authorizations are acceptable for the purpose of selling chametz. The traditional and preferred practice, however, is for the authorization transaction to be done in person with R' Sender Geisinsky or your local Rabbi. 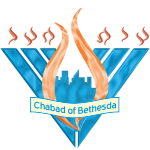 To facilitate this, you can download the contract here, fill it in and present it to Rabbi Sender Geisinsky at the Chabad Center at 5713 Bradley Blvd by Wednesday, April 1st. Dr. Dr. and Mrs. Drs. Mr. Mr. and Dr. Mrs. Ms. Mr. & Mrs. Rabbi Rabbi & Mrs.